After providing us with the boogie drenched Tempo Dreams Vol. 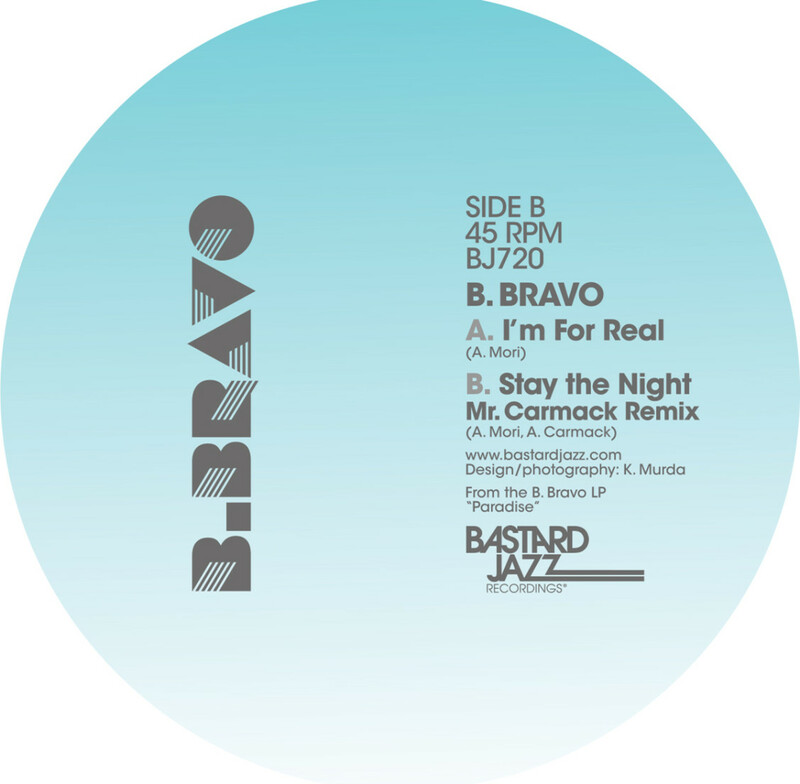 2 compilation, LA-based Modern Funk maestro B. Bravo is back with a new 7″ that’s sure to become a staple for the crates. With that feel good bassline and soulful hook, up-tempo A-side single “I’m For Real”‘s infectious keys will get the dancefloor moving, while B-Side track “Stay The Night”‘s gets a very rare dubbed out remix from Hawaii’s Mr. Carmack taking things to that tropical island vibe. Let the funk take you. Cop wax/digital direct and get the bonus digital cut “Energy” to boot. Stay tuned for more from B. Bravo’s new album Paradise, coming soon.